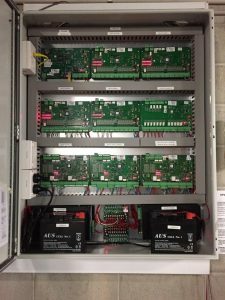 Today we have commenced deployment of the pre staged access control panels for one of our enterprise Access Control projects headed by Steve Hedges. As you can see, a very high quality install indeed. Note the device termination, main lead in Comms, GPO power placement, cable management and labeling. Well done team, H3C Plus setting new benchmarks for the industr y.